Don't expect to find carpets of these lovely orchids; they tend to grow singly or in small groups. This lovely orchid grows up to 60cm in height, has heavily-ribbed oval leaves, and carries up to 16 white flowers on an upright stem. The flowers do not open fully and so the blunt yellow lip is barely visible. The flowers are mainly self-pollinated, although pollination by insects has also been recorded. The plants take at least eight years to develop from seed, and flowering can take an additional two to three years after that. These orchids occur in woodlands (they are more common in Beech woods) where the underlying ground is chalk or limestone, although they are also found in more open positions from time to time. Two of the specimens shown on this page were photographed near Bryanston, in Dorset, and this orchid is only common in South-east England although there are confirmed sites in South-east Wales. 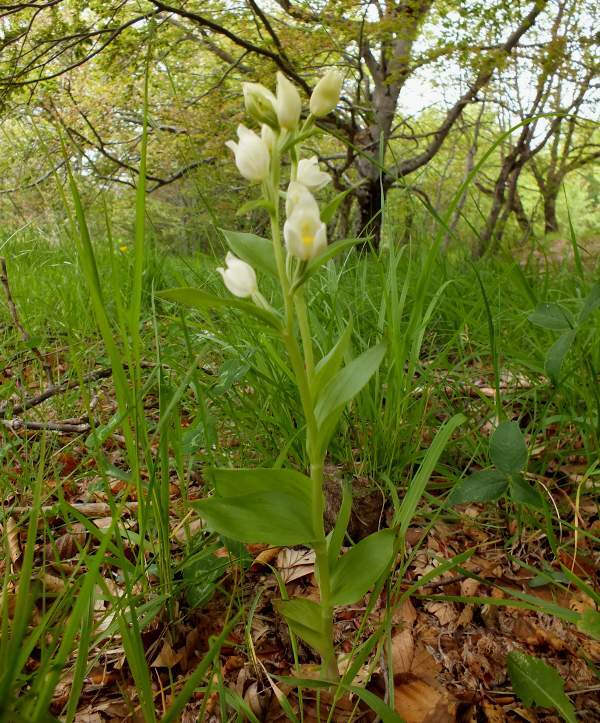 Cephalanthera damasonium is in serious decline due to loss of habitat caused by the clearance of woodlands. 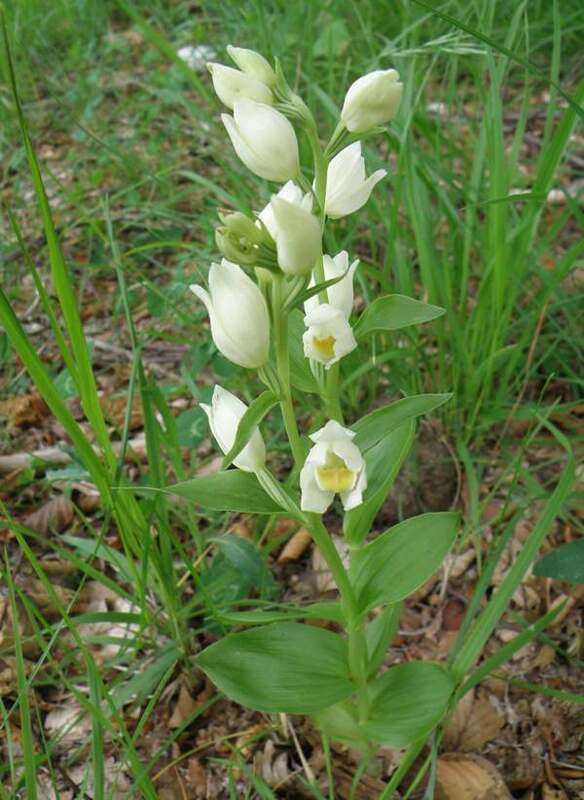 The White Helleborine is also found throughout continental Europe and as far east as Asia, where it is widespread but not abundant. We have also photographed this woodland orchid in Slovenia. 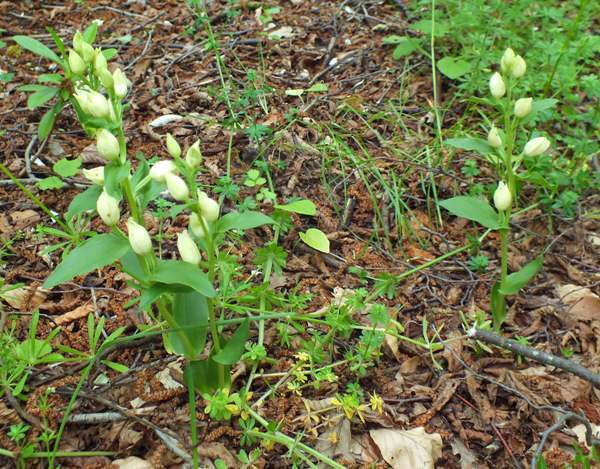 Cephalanthera damasonium blooms from early May until the end of June.